In February 2017, the Arkansas Realtors Association released home sales information to the Arkansas Economic Development Institute. 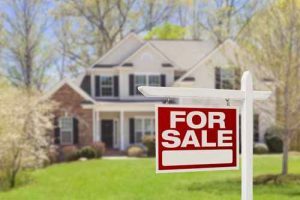 It showed a rising trend in home sales for the last four years, and had surpassed the 2008 pre-recession level of sales. With the increase in sales, many of the homes sold required a mortgage loan. Home buyers or borrowers in an effort to find a loan that works best for them will often turn to a mortgage broker. Arkansas, like many other states, requires mortgage brokers to be licensed if they are compensated or expect to be compensated in some form, and that solicits through such means as a telephone, internet, email, by mail, or in person with the borrowers or potential borrowers. This also includes accepting or offers to accept an application for a mortgage loan, or offers to negotiate or negotiate the terms or conditions of a mortgage loan; mortgage loan commitments or interest rate guarantee agreements to borrowers. A requirement for the license process includes obtaining a minimum $100,000 surety bond, which is for the benefit of any claimants if the mortgage broker or its employed loan officers fails to faithfully perform the obligations set forth in the bond. This includes faithful handling of any funds paid into or deposited with the mortgage broker. The surety bond amount is based on the annual mortgage loan activity that occurred during the previous year. Loan volumes totaling more than $10,000,001 to $25,000,000 require a $150,000 surety bond, and loan volumes exceeding $25,000,001 require a $200,000 surety bond. The bond is filed with the state and must be renewed annually. Borrowers can verify whether a mortgage broker is in good standing with the state prior to any business transaction. The Arkansas Securities Department provides a website link to verify the license status. SuretyGroup.com has the Arkansas Mortgage Broker surety bond that is needed to meet the license requirements. Apply online or call us today at 1‑844‑432‑6637!